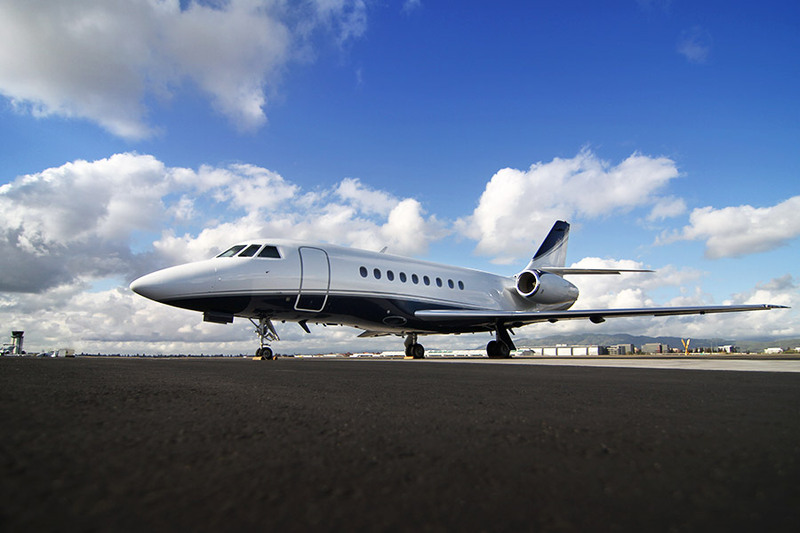 Dassault Falcon has long been known for its high standard of performance and technology when creating the jets their customers love flying on. That high standard of excellence hasn’t skipped a beat when it comes to the Falcon 2000. A large cabin, transcontinental range, and fast cruise speeds make this aircraft a favorite of all passengers. 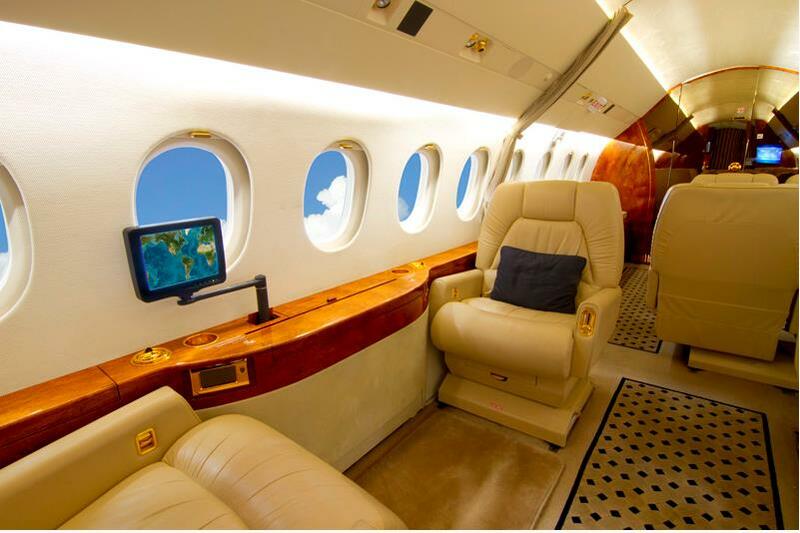 The cabin of the Falcon 2000 offers plenty of room for 8-10 passengers to sit comfortably. Typically, there are two seats that can extend to flatbeds so passengers can sleep as they would at home. One of the key features to the cabin is the pressurization. The crew can lower the cabin pressure so it feels as though you are flying at a much lower altitude. At 45,000 feet, the pressure can be set to 7,650 feet and can feel as low as sea level at 25,000 feet. This immensely helps reduce the feeling of fatigue when you step off the aircraft. 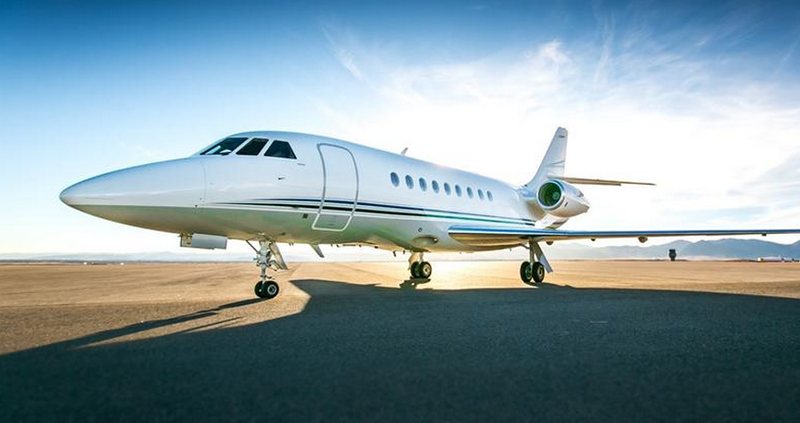 Mechanically speaking, the Falcon 2000 is one of the most efficient jets on the market. Fault monitoring and digital diagnostic systems make trouble shooting and repair work much easier resulting in less turnaround time after a flight. Much like the maintenance of the Falcon 2000, the avionics were designed to be as easy to use as possible. The Collins Pro Line integrated avionics suite features four display screens that rest near the functions they are responsible for. This makes it very easy for pilots to make quick, in-air transitions. At a cruising speed of Mach .80, the Falcon 2000 can travel 3,000 nautical miles and reach 37,000 feet in just 19 minutes. That means this large jet can make almost any trip in the United States nonstop. 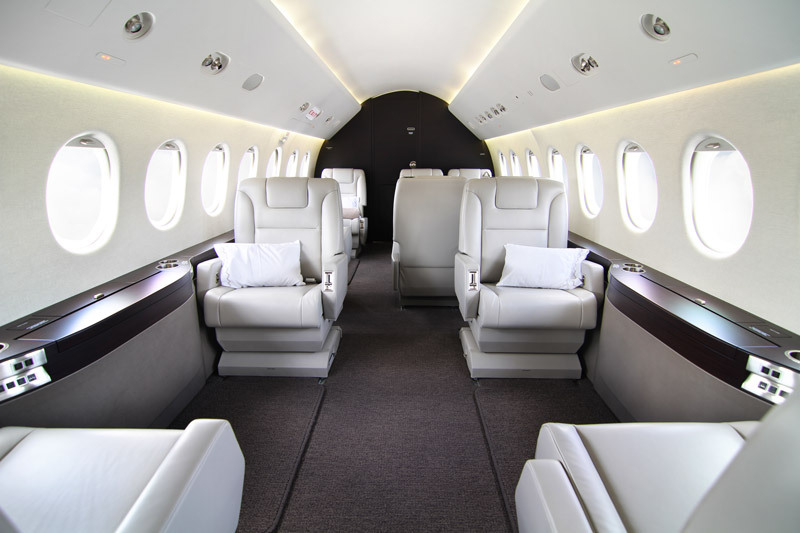 There are few private jets that can deliver the combination of functions the Falcon 2000 can. The comfort it offers while still being able to travel 3,450 miles at Mach .8 makes for an excellent travel experience. See for yourself on your next flight.